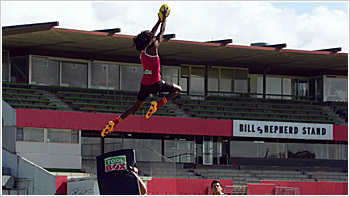 The Warriors is a landmark Australian television drama series set in the world of elite sport. It follows the once-great Warriors Football Club, which pins its hopes and dwindling reputation on three untested rookies and a jaded star. For Maki, Zane and Scottie, sporting success means leaving home and finding a place in an unfamiliar world. But as the boys encounter temptation and pressure on a level they have never experienced, they must battle to maintain their integrity and a connection to their past. 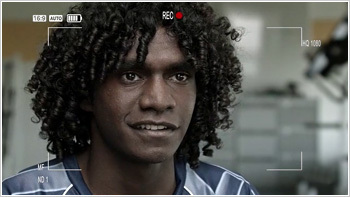 The change is particularly pronounced for the season's number one draft pick, Maki, who swaps the remote Aboriginal community where he grew up for the bright lights of Melbourne. When Bill becomes angry at Spinner's new-age training methods, he decides to toughen the rookies up with a visit to the infamous gym known as "Onion's Ring". Scottie fights Onion and Zane fights his son Roger and both are humbled in the ring. But when Maki refuses to take part, Bill is disappointed and Zane is furious. Zane and Maki argue and the tensions of their relationship rise to the surface. Doc's latest scandal causes The Warriors to lose their sponsorship. With time running out to find a new sponsor, Bill turns to Fast Freddy for help, the unscrupulous owner of a gambling website called TruBet. Freddy agrees to sponsor The Warriors in exchange for information about upcoming games. Doc refuses to get involved until he sees that if he doesn't, Bill will involve Maki instead. Will Doc risk his own career to spare Maki and save the team? When Maki is racially vilified during a Warriors training session, the resulting scandal threatens to derail their pre-season. 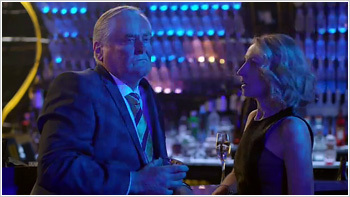 Zane has experienced racism all his life and tries to persuade Maki to ignore it, but soon Zane realises that might not be the honourable course of action. When Bill warns the players not to mix sport with politics, Zane and the other players must decide between ignoring what happened for the good of the sport or taking a stand for something greater. When Zane, Scottie and Doc wake to discover that Maki has not returned from a trip to visit his sick grandfather, they realise he has left The Warriors with no intention of returning to Melbourne. They travel up north to Maki's hometown of Warmun to convince him to come back. But when they see the beauty of Maki's home and are charmed by a cast of eccentric locals, they realise that bringing him back to Melbourne might be more difficult than they first thought. Game one of the season has finally arrived and Maki, Zane, Scottie and Doc have all made the team. Scottie is even named starting ruckman. There's only one problem — Scottie's knee is injured and he won't make it onto the field without help. Scottie takes steroids to heal his knee before the game. Then a random drugs test is announced and Scottie is in big trouble. Zane comes up with a plan and takes Scottie to his cousin, Binh, who has a unique way to help Scottie pass the test. 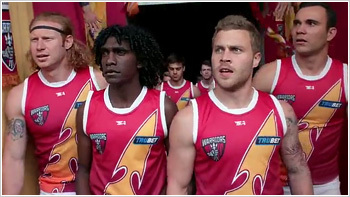 Will the plan work and can Scottie fool the drug testers and run out onto the field with the rest of The Warriors?